For those like me who have had acne since the moment they hit puberty, two ingredients have become mainstays in our day to day skincare routines: benzoyl peroxide and salicylic acid. We've been told these acne-fighting ingredients are the key to treating unwanted blemishes, and as a result, we sometimes use them like they're interchangeable. 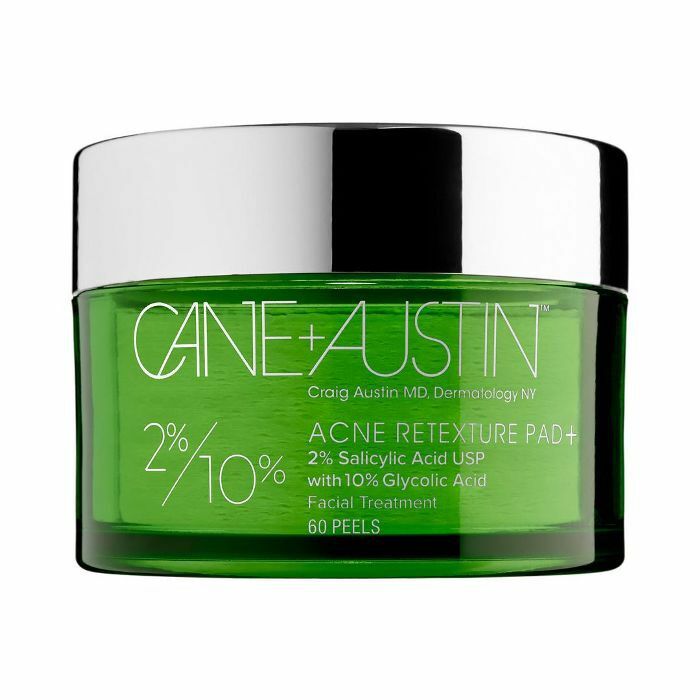 But they are in fact two very different ingredients that do very different things when it comes to acne. We asked dermatologists Arielle N.B. Kauvar, MD, of New York Laser Skin Care and Arielle Nagler, MD, of the Ronald O. Perelman Department of Dermatology at New York University Langone Medical Center to break down for us these two powerhouse ingredients and how we are supposed to correctly use them. Scroll down to see what they had to say. The biggest difference between benzoyl peroxide and salicylic acid is that benzoyl peroxide has antibacterial properties, while salicylic acid does not. "Benzoyl peroxide is an antibacterial agent. It helps to kill P acnes, the bacteria that has been implicated to play a role in the development of acne," says Nagler. "It also helps to prevent small pimples called comedones (comedolytic). It is a good ingredient because there have not been reports of resistance to this." "Benzoyl peroxide is a topical medication that kills the acne-causing bacteria. It works very quickly, and most people see results in as early as five days," says Kauvar. "It works to reduce pimples and pustules because of its bactericidal properties." Salicylic acid targets the different causes of acne rather than the acne itself. "Salicylic acid does not kill bacteria," she says. "Salicylic acid, a beta hydroxyl acid, works at dissolving away dead skin cells on the skin surface and in the pores, which become clogged with acne. The combination of increased oil, dead skin cell accumulation that clogs pores, and bacteria contributes to acne. It also removes surface oil and evens out skin texture." For the most part, you can incorporate these ingredients however you see fit. Both Nagler and Kauvar say that benzoyl peroxide can be very drying. "Benzoyl peroxide should be used anytime someone is using a topical or oral antibiotic for acne," says Nagler. "It can be very drying and some people can be allergic to BP. If someone experiences dryness with BP, there are many moisturizers available that are effective without causing pimples." "A common problem in patients with acne is that they layer on too many products too often hoping to clear their acne faster, but they actually slow down their recovery when skin irritation develops," says Kauvar. "It can be irritating, and some people quickly develop redness and irritation." Salicylic acid can be very irritating in high concentrations, and you can benefit from pairing it with other products. "Salicylic acid alone works well for blackhead and whiteheads (clogged pores without the inflammation), but since it is not bactericidal, it has limited effect on pimples and pustules," says Kauvar. "Most people with papules and pustules benefit from a combination of the two products." As for using both ingredients together, both derms say you can. Nagler notes that they can be super drying when used together, and Kauvar says it's best to use them in two separate products so that you can adjust their usage individually to control any irritation. The main ingredient to avoid when using either benzoyl peroxide and salicylic acid is retinoid. "Avoid using benzoyl peroxide together with retinoids like retinol and tretinoin or abrasive cleansers or scrubs—this can cause severe skin reactions," says Kauvar. "Avoid using retinoids when using salicylic acid—there is a risk of getting a severe skin allergy." Kauvar also cautions against using salicylic acid if you are allergic to aspirin or anti-inflammatory drugs that reduce pain. She says do not use at all on open sores or on skin with eczema. With benzoyl peroxide, she says to always use sunscreen. If you are using Aczone, a topical medication for acne, Nagler says to avoid benzoyl peroxide, as it can turn your skin orange. "If people are using both, it's best to use one in the morning and one at night." Her last tip is to always moisturize to keep the skin from getting too dry. Now that they've broken down the differences between benzoyl peroxide and salicylic acid, here are some products to try. 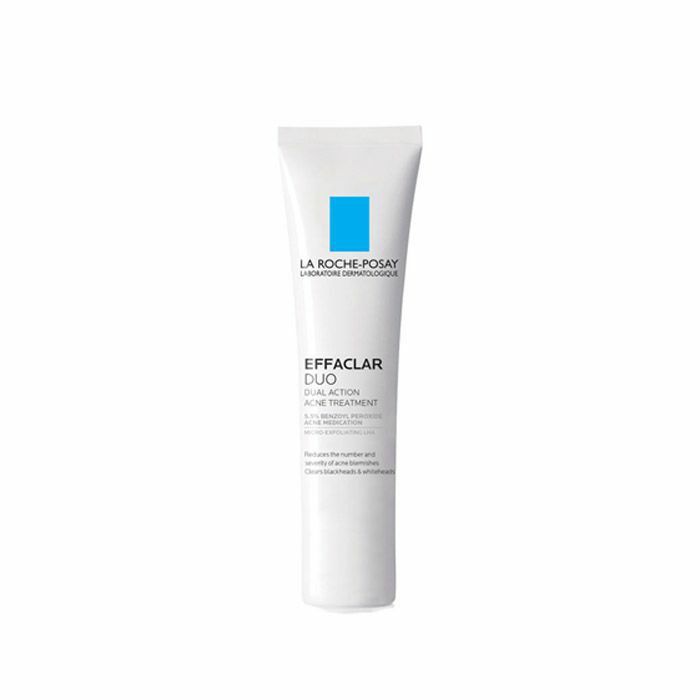 "If severely oily skin and pimples are a problem, La Roche Posay Effaclar Duo is a great option," says Kauvar. "It has a combination of benzoyl peroxide and lipo-hydroxy acid to exfoliate. Make sure to use it along with a noncomedogenic moisturizer since it can be drying." We swear by these pads. On top of preventing future breakouts, these pads even out skin tone and reduce the appearance of fine lines, dark spots, and enlarged pores. "When compliance is a problem, having a kit with both salicylic acid and BPO will help. 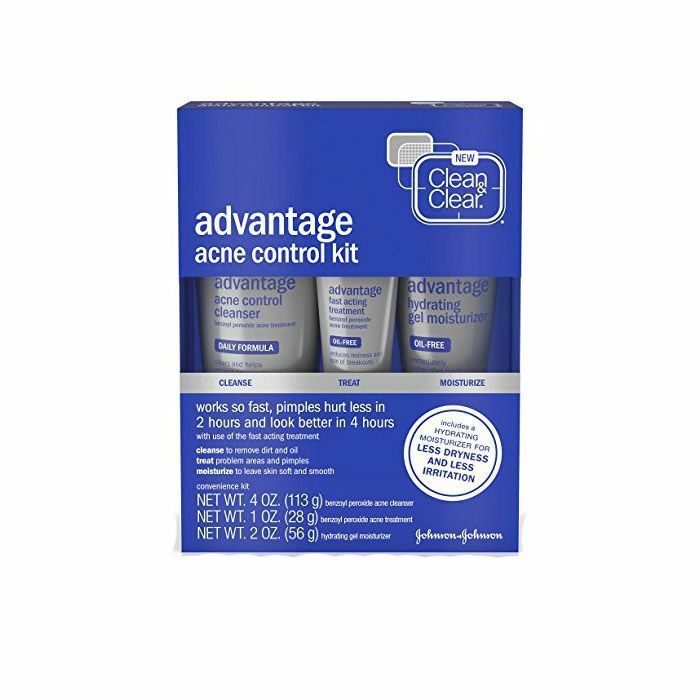 Clean & Clear Advantage Acne Control Kit has a cleanser, a moisturizer and a spot treatment product," says Kauvar.